This Francis Hopkinson letter to Congress was written by Francis Hopkinson, a delegate to the Continental Congress from New Jersey and signer of the Declaration of Independence, in May, 1780. The letter is a bill asking for payment in return for designing various items for Congress including the Continental Currency, the Seal for the Board of the Treasury, the Seal for the Board of the Admiralty, the American flag and other items. The letter is significant in studying who created the first American flag because it is the only documentary evidence of anyone claiming to have created the flag. Some scholars attribute the first flag to Hopkinson, while others discount the claim, partly because the bill was rejected by Congress and partly because Hopkinson resubmitted the bill a few days later asking for reimbursement for the United States navy flag, instead of for the United States flag. 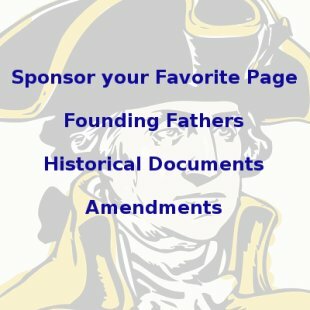 You will find links to Hopkinson's second letter and to more about the history of the first American flag at the bottom of this page. Ornaments, Devices, Checks for the new Bills of Exchange in Spain & Holland. The Borders, Ornaments, and Checks for the New Continental Currency now in the Press, a work of considerable Length. A Great Seal for the United States of America, with a Reverse. For these Services I have as yet made no charge nor received any Recompense. I now submit it to your Honours' Consideration whether a Quarter Cask of the Public Wine will not be a proper & a reasonable Reward for these Labours of Fancy and a suitable Encouragement to future Exertions of a like nature. You can read the resubmitted letter from Francis Hopkinson to Congress of June 6, 1780 here. If you would like to read more about the Hopkinson Flag, please read our 13 Star Flag page. 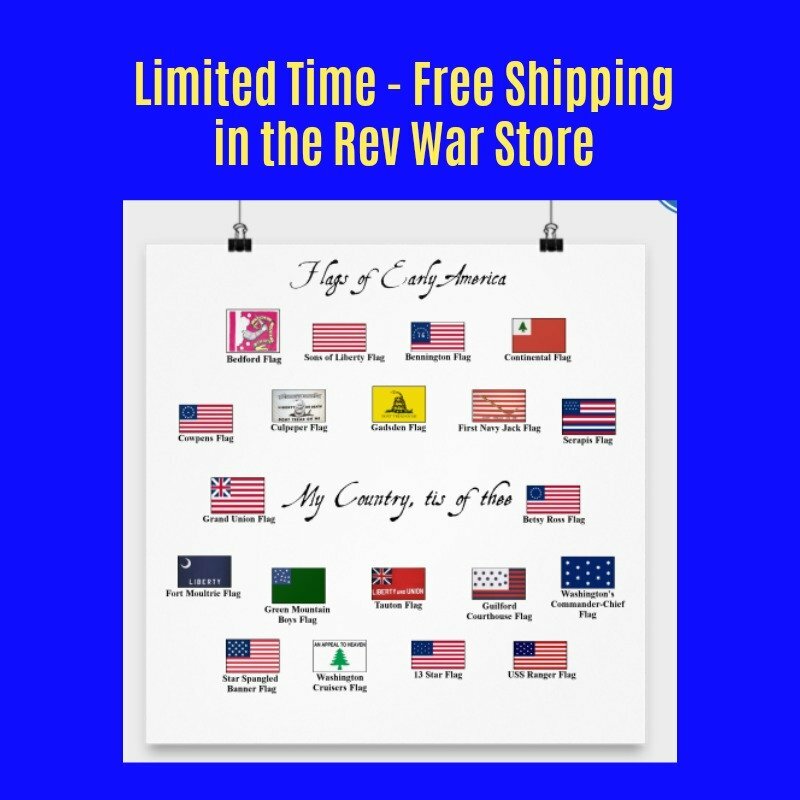 For information about other historical flags from the Revolutionary War, check out our American Revolution Flags page. 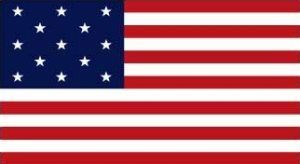 Learn about the other contender for the first American Flag, the Betsy Ross Flag, here. You can also read more about the Declaration of Independence here.